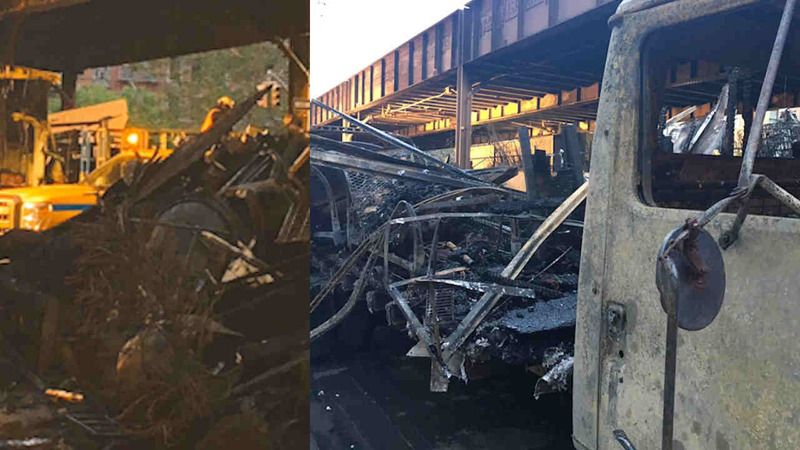 EAST HARLEM, Manhattan (WABC) -- A garden center, believed to have caused that fire under Metro-North tracks in East Harlem, has been issued four summonses by the FDNY. Firefighters found dozens of propane tanks inside "The Urban Garden Center". Officials say the company did not have permits for the tanks. The fire damaged the elevated Metro-North tracks directly above the center, forcing service to be suspended or delayed until Friday morning.